Floats that offer more than just a safer ride. Horse Floats Manufactured By Otto Tuza, where we understand the value of your Horses. 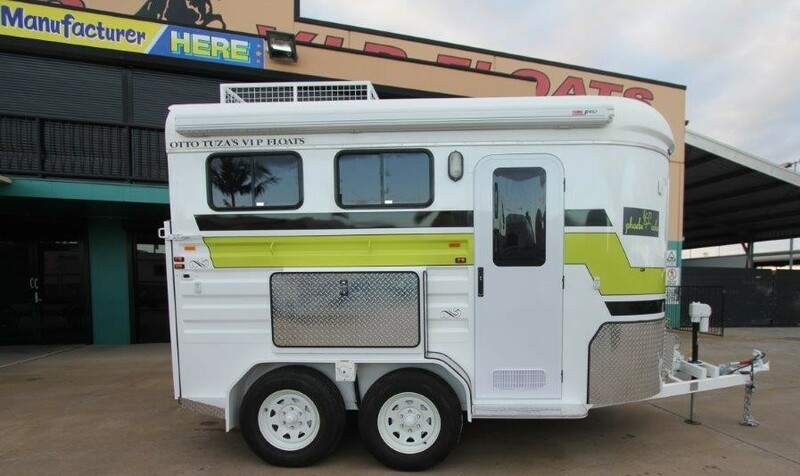 Not only do you want stylish Floats for towing your horses in, but you want the security and reassurance that they’ll arrive at their destination in comfort. Every Otto Tuza Vip Horse float is engineered with perfection giving you the ultimate float in equine transport. With our technology our Horse Floats deliver effortless balance when towing ensuring that you can tow your new float with confidence. 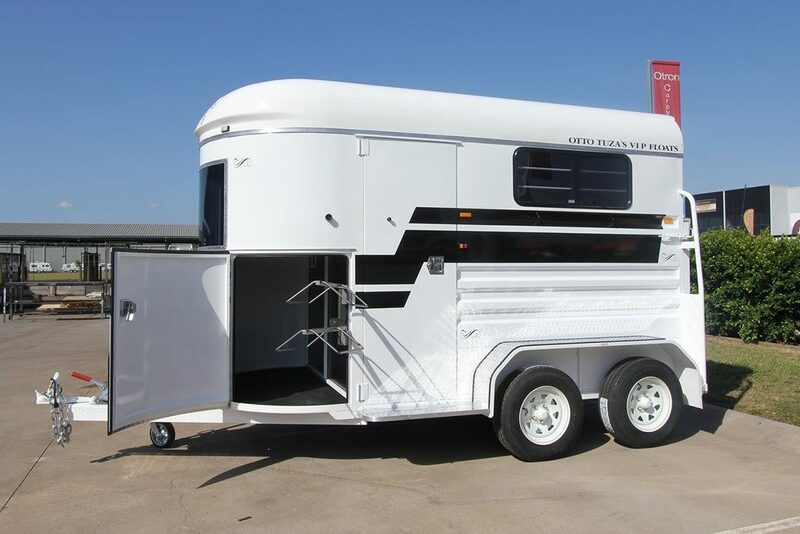 Our Horse floats come standard with our unique Cush Bar Torsion Independent Suspension which has been specially engineered and design to give the float an equal ride loaded or unloaded and as a result a much smoother and more comfortable trip guaranteed for you and your horses. This is now widely regarded as the best suspension system for livestock transporting. Our suspension is backed with a 5 year warranty. Otto Tuza’s has over 40 years of experience in designing and manufacturing quality horse floats . Our innovative designs and manufacturing practices ensure that our floats are extremely safe as well as comfortable, classy and stylish. Click on the floats types below to find the ideal horse float for your needs, or contact us to discuss further. Our range of straight load floats includes the budget 2 horse float, economy, standard and standard extended 2 horse float. Otto Tuza offer a range of angle load horse floats, designed and customised for your individual requirements. The ultimate choice for transporting your horses on weekends away. 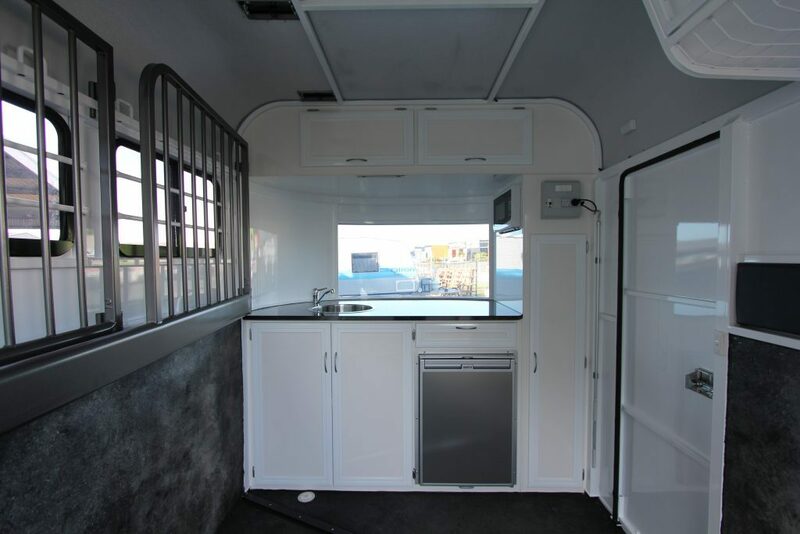 Custom Built Floats or Floats with kitchens are our specialty and is the perfect horse float choice for the serious horse lover. We have our own experienced cabinet makers on staff where kitchens are manufactured right here in our Factory.